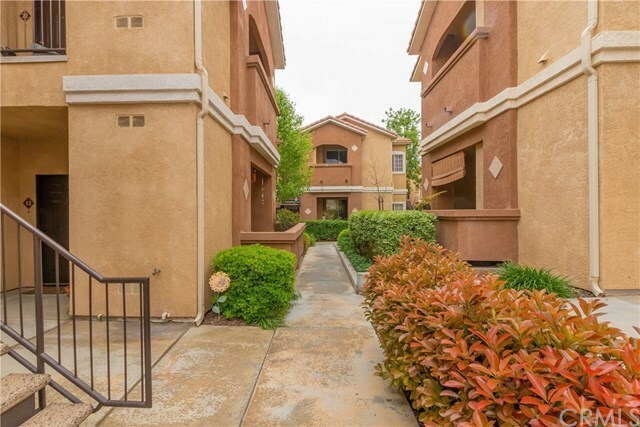 ***VA APPROVED complex***Welcome home to this private gated community conveniently located close to freeways, schools, shopping, entertainment, & healthcare facilities. This is a great first time home buyer or investment opportunity. This unit offers 2 bedrooms with walk-in closets, 2 full bathrooms, living room, dining room, spacious kitchen with refrigerator, office nook, laundry room with washer & dryer, oversized storage utility closet in unit, covered patio area, ceiling fans, central heat & A/C, fresh interior paint, plus a one car garage. LOW HOA & taxes. This unit is move in ready! Directions: 15 N, exit Murrieta Hot Springs (L), go to Madison (R), complex is on the left. Inclusions: refrigerator, washer, dryer, & 1 YR HOME WARRANTY!